Mazda 6 has been in production since 2002 for Mazda. One of the key successes to this Japanese automaker is the close partnership it has with Ford. The Mazda platform engines have been used in Ford vehicles for nearly three decades. Ford has returned the favor with the Mazda 6. 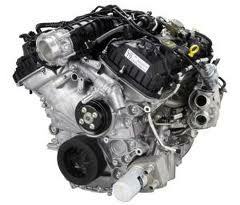 This is the very engine that you can find right now for sale at a great price here. We have these Mazda 6 3.0L crate engines stocked and ready for customer shipment around the world. Did you know the 3.0L V6 is actually a Ford Duratec engine? What you are buying is an excellent engine with all of the horsepower your Mazda or project car needs. The Duratec engine is unique because it is a DOHC motor that pushes above the 170 horsepower mark. This is not a simple V6 engine. This Mondeo based design is one that Ford has pioneered and that it has used successfully in many models. What you probably want to know is how fast we can ship and how much it will cost you. It is a valid series of questions and we can help you with that information with our engine quote. While we don’t publicly promote our low prices, getting a quote does not mean that we have high prices. It just makes us more accurate as an engine seller and we eliminate any pricing mistakes. Not all customers have ordered a crate engine online before. We know that for some we will be their introduction. We give a lot of firsts and an enjoyable engine buying experience is just one of them. We’ll inform you of how we built up such a great inventory and then we’ll tell you how much you’ll pay to own an engine. It took a while but we finally found great wholesalers. These sellers are able to give us new and not rebuilt crate engines. Some companies are selling remanufactured engines as crate engines. While this is OK for some, it does not make the engine new. We stick to new engines. The crate engines we have were not previously installed in another vehicle. These are new builds that are tested instantly upon arrival. We have to know the quality of the block, compression and other key aspects before we can sell to you. This helps us to get rid of some of the common engine problems that average crate engine sellers run into. You have a Mazda or a project car. Each of these will accept the Duratec 3.0L engine just fine. You don’t have to make unnecessary changes to your mounts or vehicle just to get our V6 to fit. Your computer and our quote form are the two things you need to get our prices. We have simplified as much as we can the procedures for quotes here. You don’t have to call if you do not prefer this method of quotations. Entering your information into our form for quotes is all you need to do. You can then call us by phone at (336) 355-5679. Let our Mazda engine experts get a Duratec V6 to you today.